Paul Chow has been a key architect in the expansion of Hong Kong’s modern securities and derivatives markets. He has also made significant contributions to the development of global financial markets. Mr Chow was former chief executive of the Hong Kong Exchanges between 2003 and 2010 and a founding member of the Hong Kong Securities Institute. He served as Chairman of the East Asian and Oceania Stock Exchanges Federation from 1994 to 1995 and was Chairman of the Working Committee of the Federation Internationale des Bourses de Valeurs (FIBV, now known as the World Federation of Exchanges, or WFE) from 1995 to 1996. Mr Chow was Chairman of the WFE Working Committee from 2007 to 2008 and became WFE Vice Chairman in 2009. Chong Kim Seng was appointed as CEO of Bursa Malaysia Derivatives in December 2009. He is a specialist in the trading and management of commodities and has worked extensively in the Asia Pacific region, Middle East, Europe and Africa. Prior to this Chong has held positions as global head of derivatives, Bursa Malaysia, MD of the Joint Asian Derivatives Exchange, and head of global customer solutions for R1 International. Chong was also GM of the Singapore Commodity Exchange from 1993 to 1995 where he oversaw the management and strategic development of the exchange. Chua Kong Khai is chief of market operations at Bursa Malaysia, responsible for charting overall business strategies and development plans on market operations for the Bursa Malaysia group of companies in meeting the changing needs of its customers both domestic and overseas. He has been with Bursa Malaysia for more than 20 years. Prior to this, Chua was the head of exchange operations, head of information services business and head of depository. He was instrumental in the setting up of Bursa Depository which has grown by leaps and bounds since its inception in 1992. Tim Thurman is currently chief information officer (CIO) with Australian Securities Exchange (ASX), responsible for providing strategic IT leadership and oversees the development and delivery of IT services and new technologies. Prior to this, Thurman held several senior positions with Credit Suisse Canada, Alpha Trading Systems, TD Securities (Newcrest), TMX Group, and IBM Global Services. He is a senior IT executive with more than 25 years of technical and project management experience in building, deploying and supporting high availability (HA) low-latency financial applications and infrastructure with exchanges, alternative trading systems, and investment banks. Yutaka Imanishi is CEO of TriOptimas’ Asia Pacific business, overseeing the expansion of TriOptima’s compression and reconciliation services in the region from the Singapore office. Prior to moving to Japan Imanishi held the role of Director of TriOptima Japan K.K. at TriOptima's Japan office. Before joining TriOptima, Imanishi was Head of Capital Markets at Nomura Singapore Ltd. and a head of Japan Desk at Commonwealth Bank of Australia in Sydney. He has more than 20 years of experience in fixed income markets. Imanishi holds a Bachelor of Arts from the Rikkio University in Tokyo, Japan and a Master of Applied Finance from Macquarie University in Sydney, Australia. 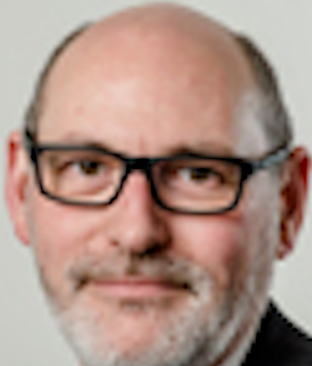 Olivier Grimonpont is general manager and regional head, at Euroclear, overseeing offices in Beijing, Hong Kong, Singapore and Tokyo. Prior to this, he headed up Euroclear's Collateral Services, Fixed-Income, Loan Servicing and Securities Lending & Borrowing Product Management teams in Brussels. Gimonpont’s financial career started in 1990 with JP Morgan Brussels, where he held various back and mid-office positions. In 1994, he joined the front office, first as liquidity manager, and later as a government bond trader responsible for the market making of Belgian government bonds. Nick Ronalds is MD of Asia Securities Industry and Financial Markets Association’s equity division and works closely with the equity committee. Prior to this, Ronalds was with RhoFinancial working with clients to develop their presence in Asia’s exchange-traded derivatives markets. In the past, Ronalds has held roles with Chicago Mercantile Exchange’s Asia office and ABN AMRO Securities. He negotiated with Japan’s Ministry of Finance for approval of GLOBEX, the first-ever offshore electronic trading system permitted in Japan. Jonathan Woodward is co-head of the Transaction Sales division in Asia-Pacific responsible for FX trading and post-trade solutions for the interbank, asset management, corporate & broker markets. He joined Thomson Reuters in September 2012, following Thomson Reuters’ acquisition of FXall where he was Head of Asia-Pacific. Prior to joining FXall Woodward held variety of roles in Asian and European business development, product management and sales within Global Link, State Street's multi-asset class e-trading platform including FX Connect. He has also worked for Bridge in Asia managing FX, equity, futures & commercial paper trading and information services. Eli Cohen is head of legal (Regulation) at the Singapore Exchange, responsible for handling all legal issues related to the company. He also manages SGX’s relationships with all non-Singapore regulators including the European Securities and Market Authority, the US Commodity Futures Trading Commission and the Hong Kong Securities and Futures Commission. Prior to this, Cohen was Asia General Counsel for Euroclear Bank, Hong Kong and Assistant General Counsel for Euroclear SA/NV in Brussels, Belgium. 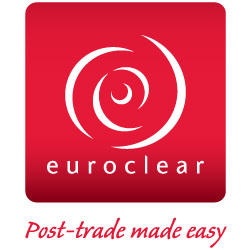 He was also Executive Secretary of the Euroclear Bank Management Committee. Sam Ahmed was formerly with Citi as sales head of collateral management services, Asia Pacific responsible both for originating business around OTC and collateral related services while looking at market and regulatory changes in the OTC derivatives landscape to create relevant solutions. Sam began his career at Westpac, Sydney at the management program following which in 1997 he joined the Lehman Brothers FX trading desk. In 2005, Sam moved on to Merril Lynch, Japan where he headed several trading desks support teams ranging from fx, credit and rates. His experience has brought him a strong understanding of Asian market practices, financial products, collateral and regulatory practice. Noritaka Akamatsu is deputy head of the office of regional economic integration (OREI) at Asian Development Bank (ADB), joining them in March 2009. He concurrently serves as chair of financial sector community of practice to lead ADB-wide financial sector operations. At OREI, he leads projects supporting financial cooperation and integration initiatives of ASEAN+3 including the Asian Bond Market Initiative. He also serves as co-chair of the steering committee for capacity building of the ASEAN central bank forum as part of the effort of ASEAN economic community 2015. Prior to this, Akamatsu also worked with World Bank and Nomura Research Institute. Shunichiro Unno is currently the Director of Information Services at the Tokyo Stock Exchange – one of Asia’s largest exchanges. Earlier he was Director of Post-trade Services at Japan Securities Depository Center (JASDEC). Shunichiro has close to 30 years of experience in Japan’s securities industry, having joined the Tokyo Stock Exchange in 1986. He also served at Japan’s Ministry of Finance, where he was incharge of international affairs. In addition, Shunichiro was a member of the ISO20022 Securities Standards Evaluation Group. Philip York is a director and CEO of the Alt224 Group, a specialist advisor in the Pure Alpha space. He is also a Director of the eTrading Association, a professional advocacy group focused improving communication and consensus with the finance industry and its regulators. York has been involved in the quantitative trading of derivatives and equity for over 25 years. In 1992, York commenced trading Managed Accounts, forming his first hedge fund in 1996 before selling his business in 2004. Through the 90’s he also set up a financial software business building, amongst other things, electronic exchange interfaces. Through to 2007 York formed and oversaw the operations of an FX cash and derivatives business (which included automated market-making), and in 2008 reacquired his funds management business to move back to his specialty of fully automated quantitative trading of the global markets. Matthew Chan is enterprise and strategic planning director for Omgeo. Besides corporate strategy and industry relations, Chan manages key strategy projects and has recently been working on the consolidation of DTCC and Omgeo's combined corporate strategy. Prior to Omgeo, Chan was departmental business and policy advisor to the Australian federal minister for finance from 1999 to 2001 before moving back to the private sector to work in corporate planning and strategy at PepsiCo International and Cadbury Schweppes. Caleb Gibbons recently joined The Bank of Nova Scotia Asia Limited, based in Singapore as a director in the global fixed income division. Gibbons 20-year career has given him extensive experience in global capital markets, working in a variety of centres (Toronto, Singapore, Tokyo & New York), with a focus on the fixed income derivatives markets. He was most recently in a PM-fixed Income role in New York, prior to returning to Asia in 2013. Gibbons holds both the CFA and FRM charters, and volunteers with PRMIA as a subject matter expert on OTC derivative counterparty risk (SME Advisory Group). Alex Medana is director for securities markets of the Asia Pacific region at SWIFT, responsible for the post-trade strategy to drive the adoption of secure, resilient and cost-effective automation across asset classes and counterparties. He also plays a key role in promoting and supporting renminbi internationalisation within the global securities community. He has more than 15 years’ experience in the securities industry in various key roles in client services, middle office, settlements and project management. Prior to joining SWIFT Medana was regional head of client services for cash equities, prime brokerage and equities derivatives at Deutsche Bank. Usama DeLorenzo is ASEAN director for SWIFT in Asia Pacific, responsible for coordinating support to member states in their goal of realising an integrated financial system through various initiatives towards the envisioned ASEAN Economic Community. Prior to joining SWIFT, he held positions either directly or in a consultant’s capacity related to IT and finance, including with Northrop Grumman, Nextel, Saturna Capital, Bank Vontobel, Baer Capital Partners, Kuwait Turkish Participation Bank, Oppenheimer, Dow Jones, Securities Commission Malaysia and the US Central Geospatial Intelligence Agency. Kaz Kempers joined ABN AMRO Clearing in 2010 as head of IT Hong Kong, responsible for the technical infrastructure both for clearing as well as market access. Starting his career at a clearing company in Holland 15 years ago, he has come full circle after being tied to the industry in various roles. He has worked as an independent contractor handling various projects for market makers including setting up dealing rooms and monitoring systems. Finally, he ended up in Hong Kong as the IT manager Asia for a global market maker, setting up and managing offices in Hong Kong and China and taking responsibility for the trading and development infrastructure in four different countries. Dr. Ong is a professor of finance at the Illinois Institute of Technology and author of books on Basel, credit risk modelling and capital allocation that are widely read in the financial services industry. Previously, he was EVP and CRO of Credit Agricole Indosuez, where he held enterprise-wide responsibility for all risk management functions for corporate banking, merchant banking, asset management, capital markets activities, and the Carr Futures Group. Dr. Lawrence is one of Asia's most experienced experts on banking risk. He co-chaired the Institute of International Finance's global risk management working group in 2009 and was the expert principal at McKinsey & Co. Before this, he was Group Chief Risk Officer (CRO) and a member of the Management Board at ANZ Banking Group in Australia from 1999 - 2004. Prior to this, he held senior risk management roles at several New York investment banks. Earlier, Mark co-founded the Market Risk function at Merrill Lynch in New York in 1987. Dr. Knight is currently a visiting professor of finance at the London School of Economics as well as a boardmember of Swiss Re. His most recent corporate role was as group vice-chairman of Deutsche Bank from 2008-2012. Previously, he was the first non-European chief executive (2003-2008) of the Bank for International Settlements. He joined the BIS from the Canadian central bank, where he was the senior deputy governor (1999-2003) and had a front row view of the impact of Canada's banking reforms and NAFTA implementation. Dr. Tumpel-Gugerell served the maximum eight year term on the powerful six person ECB executive board, along with former chairman Jean Claude Trichet. She headed financial and payments integration for the Euro-zone, and was also responsible for ECB market operations, payments operations, human resources, budget and organisation. Before that, she was vice-governor at the Bank of Austria and also served as chair of the EU Banking Advisory Committee as well as an IMF governor. She now chairs the EU's expert group on debt redemption and is a supervisory boardmember of Commerzbank. Professor Thibeault is the head of the Centre for Financial Services at Belgium’s Vlerick Business School. He was previously the chair of the finance department at the Nyenrode Business University in the Netherlands and the director of the finance insurance department of Laval University in Canada. His pioneering risk simulations have been adopted by leading banks and universities in both North America and Europe. Mr Hunt is the chief operating officer for all banking supervisory activities at the Bank of England. Previously, he was with the UK's Financial Services Authority in charge of foreign banks operating in the UK. Before that, he was an investment banker with Deutsche Bank, a principal at the private investment firm Vasari Global and the assistant secretary of the London-based regulatory body - the Panel on Takeovers and Mergers. Professor Gurule teaches law at Notre Dame and was the former US Treasury Under Secretary with oversight over the U.S. Secret Service, the Financial Crimes Enforcement Network and the Office of Foreign Assets Control. As the US Treasury undersecretary responsible for financial crime when the 9/11 terrorist attacks occurred, he led the successful effort to block US$125 million in assets belonging to suspected terrorist financiers. Ms. Ryu is responsible for the Fed's supervisory stress test program and chairs its Model Oversight Group. She is a member of the executive committee overseeing the Comprehensive Capital Analysis and Review program for the Federal Reserve System. She was head of the Large Bank Pricing Group at the Federal Deposit Insurance Corp., where she served as FDIC lead on the Interagency Oversight Group for the Supervisory Capital Assessment Program in 2009. Mrs Chng is the group CFO of DBS, Southeast Asia's largest bank by assets. Before that, she was the bank's CRO from 2002-2008 and one of the region's pioneers in risk management. She is the Supervisor of DBS Bank (China) Board, serves on the Accounting Standards Council, and is a boardmember of the Housing & Development Board and the Inland Revenue Authority of Singapore. She won the inaugural The Asian Banker Risk Manager of the Year and received the Best CFO award at the Singapore Corporate Awards 2013. Mr Choudhury is group chief risk officer of the National Bank of Abu Dhabi (NBAD) since 2006, one of the longest serving CROs in the Middle East. He helped NBAD build a remarkably strong balance sheet, with one of the highest combined bank ratings in the world. He started his banking career with ANZ Grindlays Bank and spent 17 years at the Arab Banking Corporation. He is a member of the Institute of International Finance's Steering Committee on Regulatory Capital. Mr Kohnke is group chief risk officer of OCBC Bank, which has been repeatedly honored as the world's strongest bank by various publications. He leads the redefinition of the bank's risk management approaches, winning The Asian Banker’s Risk Manager of the Year Award in 2013. Prior to OCBC, he was head of risk management for Asia at Canadian Imperial Bank of Commerce and subsequently, the London-based head of European Portfolio Management. Dr. Lee is group chief risk officer at Maybank, responsible for credit and risk management across the Group. He was previously with Amanah Merchant Bank and the Kuala Lumpur Options and Financial Futures Exchange (KLOFFE). Prior to his appointment in Maybank, he served in financial services consulting and advisory as a partner with KPMG Business Advisory for 13 years. Since joining Westpac Banking Corporation in 1996, Mr Carriline has played a key role in the bank’s extensive outsourcing and ambitious M&A agenda, notably including the sale of AGC and landmark acquisition of BT and Rothschild. Since 2002, Andrew has held various senior roles in the risk and sourcing areas of Westpac. Dr. Roengpitya rejoined the Bank of Thailand (BOT) in 2014 after a sabbatical as Visiting Adviser to the Bank of International Settlements. Her interests include developing methodologies for loan quality forecasting, auditing IRB PD models and banking development and stability research. Prior to the BOT, she was with the Federal Reserve Bank of Chicago and the International Monetary Fund. She has a Ph.D. in Economics from the University of Chicago. Mr Azmi-Loe spent four decades in banking in Latin America, the UK and Asia, mainly in risk and process engineering. With Citibank, he led the risk audit function for North Asia, and CRO positions in Malaysia, Thailand and South Asia. He spent the last decade in the Middle East, first as Head of Risk Architecture with Samba, then at the Commercial Bank of Qatar where he was CRO and then CEO. In 2009 he initiated his consultancy work. From 2011 to 2014, he was COO Risk for Abu Dhabi Islamic Bank. Prof. Edwin Yuen has more than 20 years of experience in risk analytics and computer system development. Prior to joining HK University he served as chief analytics officer at Bank of China HK. He was also head of risk analytics for Standard Chartered Bank, responsible for the successful global implementation of its Basel II program and held various senior positions in the Canadian Imperial Bank of Commerce in Toronto and the United Overseas Bank in Singapore. He was the chairman of the Basel Implementation Committee of the Hong Kong Bankers Association in 2011. Dr Gaeta has been a banking consultant for some 25 years. He has advised and served many of the leading financial services organisations across Asia and close to half of the top 100 banks worldwide. He specialises in developing and implementing analytical solutions for complex strategic issues in financial services-related industries undergoing significant change or being exposed to intricate risk issues. Ms. Morgan is the former group head of risk strategy at ANZ Bank and before that, head of risk strategy at HSBC Asia Pacific. She successfully led Basel II implementation for HSBC Asia Pacific from 2004-2008. Her knowledge of risk management is strengthened by her previous background as a commercial banker and complemented by her pro-active approach towards maintaining a healthy regulatory engagement. Mr Foulley manages the sales consulting team for Oracle's financial services analytics, which includes financial crimes, governance risk and compliance, risk management and customer insight in Japan and APAC. Prior to Oracle, he headed the APAC risk practice for SAS. In the past, he worked for SunGard Front Capital System, Misys risk management and Reuters as well as securities firm Boscher & Fimat and Credit Lyonnais. Mr Ziff's role at Misys includes providing input and counsel on current developments in risk management, regulatory oversight, capital guidelines and investments. His past experience includes serving as CEO of the International Swaps and Derivatives Association, Head of Strategy and Business Development for Global Derivatives at Arthur Andersen and as the partner and head of Oliver Wyman Financial Services’ Institutional Investor and Hedge Fund Practice worldwide. Mr Gaudin is in charge of the Solutions Specialists team at Moody’s Analytics, providing Enterprise Risk Management expertise, client requirement analysis, demonstrations and proof of concepts. With Moody’s Fermat since 2004, he has lead several Basel RWA implementation projects in Europe and Asia. He has also developed Fermat Education services, designing and delivering regulatory compliance and ALM trainings to clients and system integrators worldwide. Mr Mukherjee leads the marketing efforts for the banking and financial services vertical offerings within MetricStream. He was previously associated with the strategy and risk consulting practice for one of the big 4 consulting firms and was engaged with multiple Fortune 500 organizations in the BFS industry in this capacity. Over the years he also held management positions at SAP and Wipro. Mr. Norman joined FICO in 2010 and is an expert on analytics modelling, Basel II modeling and compliance, and Best Practice Credit Risk Reporting. He has worked on numerous projects in many Asian countries including Australia, NZ, Malaysia, Taiwan, Thailand, China, Hong Kong, Singapore, Philippines, Indonesia, Korea and Japan, covering a range of credit portfolios, including Credit Cards, Personal Loans – secured/ unsecured, Mortgages, Retail Consumer Finance & SME’s. James Cullen was senior vice president in Wells Fargo’s global financial institutions group with specific focus on Asia. He is a career banker with over four decades of experience in the financial services industry, including posts in San Francisco, Hong Kong, Singapore and Seattle with Wells Fargo, Bank of America and US Bancorporation before venturing on his own in 2010. Prior banking experience includes involvement in a variety of business sector including corporate banking and finance and institutional banking. Mathew Welch has over 25 years of financial services experience in Asia. He has a strong track record of building and leading various financial institutions businesses throughout the region. Previously, Welch was global head of banks for Standard Chartered. He began his career at SCB as FI Head of Asia, and in that capacity from 2003, grew the FI revenues of Standard Chartered more than fivefold in a four year period. Welch worked at Merrill Lynch FIG Investment Banking in the early 2000’s and in that capacity was involved in transactions such as the NYSE ADR listing of HDFC Bank of India, and the privatization of Bank Central Asia in Indonesia. Gordian has been a banking consultant for some 25 years. He has advised and served many of the leading financial services organisations across Asia and close to half of the top 100 banks worldwide. He specialises in developing and implementing analytical solutions for complex strategic issues in financial services-related industries undergoing significant change or being exposed to intricate risk issues. Arthur Cousins is currently the CEO of the International Payments Framework Association , payments project coordinator of the Southern African Development Community regional payment project and a member of the World Bank expert group that is developing guidelines for the regional integration of financial infrastructures. Cousins was with south Africa’s Standard Bank for more than 40 years, in various positions including treasury, international banking, trade finance and custody. He was also previously named chairman of the Financial Industry Standards Association of South Africa and a board member in both CLS and SWIFT. Rob Green is currently working as director in SWIFT, head of payment market infrastructure in FirstRand Bank and co-chair of the Global Payments Market Practice Group. He has been in banking for 40 years and has a diversified background in general banking, specializing in treasury and related disciplines over the past 25 years. Green has been a SWIFT director since 2009 where he serves on the audit and finance committee, banking and payments committee and the risk committee. Green joined FirstRand in 1974 and was treasurer of First National Bank in Namibia until 2003. He returned to South Africa then and has held various positions at First National Bank of South Africa. John Wong is the managing director & group head of transaction banking for Maybank. He drives the transaction banking division comprising four distinct and inter-linked business units: cash management, trade & supply chain financing, securities services and financial institutions (FI) and non-bank FI. Prior to joining Maybank, Wong held various key positions in Standard Chartered Bank such as Head of Product Management & Implementation and Head of Global Corporate Sales. Wong also holds difference positions International Chamber of Commerce (ICC) Malaysia, ASEAN Bankers Association (ABA) and Bankers Association for Finance and Trade (BAFT) Asia Council. Lisa Robins is managing director at Deutsche Bank and the head of global transaction banking, Asia Pacific. She is responsible for the bank’s commercial banking activities including cash management, trade finance, securities and trust services in the region. Robins’ international banking career spans over 25 years, working across Europe, United States and Asia. Before joining Deutsche Bank, she was managing director, vice chairman for treasury and security services for JPMorgan China. Prior to that, she ran a subsidiary of the Louis Dreyfus Corporation in Beijing that focused on consulting and trading. Bob Blower is currently head of FI, trade and supply chain product management at Standard Bank. His experience includes policy making, consulting managing infrastructure for derivatives settlements and overseeing transaction services technology, operations and product management in both HSBC and Standard Bank Group. Blower has in the past also implemented supply chain finance solutions with Hewlett Packard, while also serving on the management teams of billion dollar businesses. Tod Burwell is president and CEO of Bankers' Association for Finance and Trade (BAFT). He is responsible for leading the association in its mission to provide advocacy, education and training, and a common industry voice for the global transaction banking community. Prior to being promoted to CEO, Burwell served as senior vice president of trade products with oversight of all trade-related initiatives including the Global Trade Industry Council, Trade Committees, and other strategic initiatives of the organization. Prior to joining BAFT, he was managing director at JPMorgan Chase. Burwell has over 25 years of trade, supply chain and cash management experience as a banking practitioner, and has served as a consultant to global corporations and suppliers of strategically integrated trade solutions. Paul Henaghan is currently working as managing director of Asia Pacific & Japan for ACI Worldwide, the universal payments company. He brings diverse and extensive experience from the software industry and transaction space. Henaghan was most recently vice president & managing director for Progress Software where he managed Asia Pacific and later Americas. Based in Singapore, Henaghan has more than 20 years’ experience in information technology having held senior roles with other industry leaders including Software AG and Oracle. Nelson Stephens is part of Accenture’s global banking industry team, the managing director of Accenture’s high performance bank model. He has been with Accenture for 19 years, and specialises in helping clients shape transformation journeys, architect high performance operating models, translate models into implementable components, drive alignment during implementation and realise value from their new model. Stephens has worked with leading banks in Australia, ASEAN, China, Korea, Japan, Middle East, Africa, South America, North America and Europe. Marcus Sehr is global head of FI product - Cash Management Financial Institutions (CMFI) within Global Transaction Banking at Deutsche Bank. Prior to this appointment he held various positions within CMFI, including as global COO, global head of wholesale solution and business manager. Between 2003 and April 2007, Sehr was senior product manager for euro and US dollar money transfer products. His responsibilities included product management for financial institutions for the Asia Pacific region as well as strategic euro clearing infrastructure projects. In this context he represented Deutsche Bank at several external committees including the German Bankers Association, the European Banking Association and Deutsche Bundesbank. Lionel Choong, Board Vice Chairman of Emerson Radio Corp. & CFO of Global Regency Ltd.
Lionel Choong is independent vice chairman of the board of Emerson Radio, currently acting CFO for Global Regency, a partner for large retailers handling annual FOB turnover exceeding US$150m. He has a wide range of experience in a variety of senior financial positions with companies in Hong Kong, the PRC and London. His experience encompasses logistics, branded apparel, consumer and lifestyle, consumer products, pharmaceuticals, building businesses, and corporate finance. Loo Eng Hock is head of transaction banking Malaysia, global banking, for Maybank. Priot to this, he was head of Maybank cash management. He has been central to Maybank’s regionalisation strategy and has overseen the successful launch of Maybank2E-Regional Cash, the award-winning regional cash management platform for Maybank. He joined Maybank with more than 20 years of experience in managing banking systems and planning, and increased Maybank’s corporate deposits in Malaysian Ringgit and other foreign currencies by 56% and 94% respectively. Chevapanyaroj has been an Executive Vice President of Kasikornbank Public Co. Ltd since January 2010 and has been its Head of Corporate & SME Products Division since 2008. Chevapanyaroj served as First Senior Vice President of Kasikornbank Public Co. Ltd. from 2008 to 2009. He serves as a Director of Kasikorn Leasing Co., Ltd. and previously served as a Director of Muang Thai Insurance Public Company Limited. Chevapanyaroj holds a MBA from Case Western Reserve University. Thomas Tan Kok Kiong is currently head of global Sales, FX and transaction banking. He joined CIMB in May 2006 as EVP in group treasury where he headed up global sales and group funding, taking charge of all treasury product sales in foreign exchange, money market, fixed income and derivatives, while managing the overall funding needs and liquidity of the firm, including for all its foreign branches and subsidiaries. Prior to joining CIMB, Tan spent 11 years at Citibank in various treasury positions in Hong Kong, Malaysia and Indonesia. Sein Maung is currently chairman at First Private Bank, one of the largest private banks in Myanmar. He is also a permanent member on the committee on finance, investment and trade in ASEAN Bankers Association. Prior to founding First Private Bank, Maung served as loan officer and economist in the International Bank for Reconstruction and Development. He has also served in Maynmar’s Ministry of Finance and Planning in various capacities, and as additional director, deputy secretary and member of official delegations. Azrol Faizal is global head and director, global financial institutions at Maybank, responsible for managing the correspondent banking relationship with FIs and non-bank FIs. He has 20 years of experience in financial institutions/correspondent banking and has built up extensive knowledge and networks in financial institutions, cash management, trade services, and treasury as well as capital markets. Prior to joining Maybank, Faizal was the chief representative/deputy country manager of Wells Fargo Bank Malaysia. Kandasamy Karunajothi is currently serving as senior director of the Economics and Policy Planning Division of SME Corporation Malaysia, a leading agency undertaking policies on SME development under the Ministry of International Trade and Industry in Malaysia. Karunajothi is on secondment from the Bank Negara Malaysia (BNM) to assist in the transformation of this agency to become the central coordinating agency on SME development in the country. Prior to this assignment, Karunajothi was attached to the economics department of BNM for 22 years. In her work capacity, Karunajothi has overseen efforts on a wide range of development issues, as well as conducted research on economic transformation and structural policies. Steven Beck currently heads trade and supply chain finance at Asian Development Bank (ADB), spearheading an exponential growth of ADB's trade finance business and implementing its first supply chain finance business. Steven initiated and implemented the International Chamber of Commerce’s trade finance register, which compiles the only industry wide statistics on trade finance default and loss rates. In 2013, Steven led a study released by ADB that, first the first time, quantified trade finance market gaps and their impact on economic growth and jobs. Gil Gadot is a co-founder of Fundtech and has been with the company since its inception in 1993. He is currently president, Fundtech Asia-Pacific & head of global cash management, in charge of business includes both cash management and financial supply chain products and services. Previous positions held by Gadot at Fundtech include as CTO, general manager of international operations, managing director of global settlements, and the company’s first head of research and development. Before joining Fundtech, Gadot was a senior development manager for DSSI. Anand Ramachandran is the global banking solutions practice lead at the financial services global business unit of Oracle, helping banks globally to implement advanced banking solutions to innovate and to improve operational efficiency, capture new opportunities, reduce costs and grow market share. He leads a team that specializes in helping business and IT leaders modernize & transform banking and financial services’ IT/operating model. Ramachandran has been associated with banking domain for 18 plus years in various roles and has exposure to banking models across JPAC, EMEA & the Americas. David Chance joined Dovetail in 2008. He has over 20 years’ experience in the payments industry and product management. Chance spent the 18 years prior to joining Dovetail at eFunds where he focused on corporate cash management and middleware solutions. He was at the forefront of eFunds Faster Payments initiatives, helping both UK and European Financial Institutions understand the implications of the UK Faster Payments Scheme. Chance represents Dovetail on many local and international taskforces and standards bodies including SWIFT, IPFA and NACHA Global Payments. Nor Shahrizan currently heads the product management of Maybank Islamic and is responsible in managing and developing various key products. Prior to this, Nor was head of rates trading, overseeing the banks’ trading and investment books under global markets Islamic. Nor has over 15 years of experience, of which 12 years were with Citibank where he started as a management associate and left as the vice president, investor sales desk, a client coverage unit within the treasury department looking after non-banking financial institutional clients. Noritoshi Murakami, General Manager, Asian Transaction Banking Office, The Bank of Tokyo-Mitsubishi UFJ, Ltd.
Noritoshi Murakami is general manager of the trade service department, Asian transaction banking office at Bank of Tokyo-Mitsubishi UFJ (BoT-MUFJ). His career began in 1990 when he joined Sanwa Bank of Tokyo. In 1999, he moved to BoT-MUFJ assuming the role of manager for the payment strategies and solutions division. Prior to this, he was the chief manager for corporate advisory department, eBusiness & IT initiatives division in Tokyo, Japan. Jessymel Cruz is currently working as head of lending for small and medium enterprises (SME) at Unionbank, one of the top universal banks in the Philippines. Prior to her stint with SME banking, she was in charge of the credit risk team for commercial loans in the bank. She was also working on sales and marketing in various banks; and was involved in work-out accounts in the Asian region. Apart from working in banking, Cruz is a writer and was editor-in-chief for bank magazines. Eddy Chong Siong Choy is currently director of accreditation at Finance Accreditation Agency. Prior to taking on his current role, he had an illustrious academic career where he was a professor and deputy vice-chancellor for academic affairs and research. He is presently an editorial board member for several international refereed journals and a programme committee member for several international conferences. Gordon Gray, with over 25 years of management and marketing experience, is responsible for inspiring new business models and transformative business solutions for the financial services industry. He is an expert in pricing strategy, business process analysis and product roadmap development. He was instrumental in establishing a centralised billing platform utilising SunTec’s technology to enable the consolidation of over 40 legacy billing systems and was the business architect for an offer management platform orchestrating client experience across all channels. Robert Yap is chairman and CEO of YCH Group. He is also vice chairman at Singapore Business Federation and vice president at Singapore National Employers Federation, as well as a board member at International Enterprise Singapore and Maritime & Port Authority of Singapore, and advises the Singapore National Committee for Pacific Economic Cooperation, ASEAN SME advisory board and SMU School of Information Systems. In 2013 Yap was conferred the Lifetime Achievement Award (Logistics) by the World Chinese Economic Forum. He was also conferred the Asia Logistics Hall of Fame award in 2003 and the Ernst and Young Entrepreneur of the Year award in 2007. Raymon Krishnan, President of The Logistics & Supply Chain Management Society, Director of Asia Pacific Logistics & Trade Compliance for W R Grace Inc.
Raymon Krishnan is currently director of Asia Pacific logistics & trade compliance for W R Grace. He has over twenty years experience in the logistics industry as an end user and service provider at senior management level in a variety of international companies and institutions based in Asia, US, Europe and Australia. His experience covers the full logistics spectrum, from raw material procurement to physical distribution, customer service and care, quality and Six Sigma. Srinivasan Venkita Padmanabhan is the senior vice president of Olam International Limited & finance head-products & geographies. He also heads and drives worldwide corporate planning department, capital investment and review committee and sustained cost management initiative, along with being CFO of Invenio, a subsidiary of Olam. Venkita has more than 22 years of extensive experience in leadership areas, including oversight on multiple subsidiaries & product verticals, risk control & management, processes reviews, and more. Paul Bradley chairman and CEO of Caprica International, Asian advisory board member for the Avista-Houlihan Lokey Investment Bank joint venture, vice chairman of Supply Chain Asia, strategic advisor to the CEO’s of several Asian companies and is also involved in several entrepreneurial ventures. He has been involved in the successful launch of two IPO’s. He previously served as president of Arshiya International, a leading Indian multinational company focusing on supply chain management, FTWZ logistics parks and rail operations. In the past, Bradley also served as MD of IDS International, a part of the Li & Fung group of companies. He was selected as a “New Asian Leader” by the World Economic Forum and “Asian Supply Chain Manager of the Year” by Lloyds Publications. Troy Shortell currently holds the position of executive vice president at CEVA Logistics, the Asia Pacific board member and P&L head for the countries that comprise East Asia. He has more than 20 years of professional experience and industry knowledge in commercial management and supply chain strategy. Prior to joining CEVA, Troy ran the Greater China business for cold chain specialist HAVI Logistics and its largest customer McDonald's. Troy also held board level roles during a 15-year career at DHL and its affiliates in China and the Asia-Pacific Region. Mark Holloway is presently working with Diageo as head of supply, Southeast Asia, responsible for end to end supply chain. His prior roles include “knowledge engineering” for Unilever Research and a number of foods factories in the UK, working on production efficiencies in the UK, transferring best practice for manufacturing automation in Europe as well as leading IT developments and operations. Mark joined Unilever and led some process & customer service improvement programs and re-organisations, then increasingly assumed regional responsibility for logistics and customer service. Peter Woon is currently vice president, procurement and supply chain for Marina Bay Sands, managing the team in the procurement of all goods and services. He also leads the supply chain operations team for the receiving, warehousing and distribution of goods property wide across the various diverse business operations at the integrated resort. He is a senior management executive with more than 20 years of diverse professional experiences in global procurement , sourcing and supply chain leadership roles in the high technology and services industry. Tobie Gordon is the vice president, supply chain operations of Starbucks China. The position has exposed Gordon to retail supply chain as well as expanded her scope, adding commercialization, sourcing and co-manufacturing. In 2008, after observing the challenges of providing good customer service in an un-integrated supply chain, she led the creation of Nestle’s integrated China supply chain. The newly integrated organization included demand and supply planning, customer service, logistics and data management serving ten business units for Nestle’s Greater China region . The new supply chain delivered transparency and significant improvements in working capital control, end to end cost management, and service levels. Anupam Jain is the finance director of Mondelez Sales Malaysia, a CFO position which involves managing a business of $250m with a finance team of 55 people and complex business including three manufacturing units, five legal entities and 40 brands operating in seven categories. Prior this Anupam was VP, financial planning & analysis at Kraft Foods India. His role involved managing financial analysis, strategic planning & commercial operations for India and export markets. Anupam also held several key positions in Procter & Gamble Singapore and India. Eckart Dutz is general director of Rapi B2B Office Solutions, as well as general manager of Pacific Partners, a sourcing company specialized in fast moving consumer goods. He is co-founder of Vietnam Supply Chain and has in the past served on the board of advisors of the Vietnam Supply Chain Council as well as been an advisor to the Sourcing & Purchasing Club Vietnam. In the past, Dutz has worked for Unilever in Vietnam, Thailand, Netherlands, Germany in various supply chain positions, most recently as regional supply chain manager for Ice Cream for South East Asia. Kobu Kotaraju is presently chief procurement advisor at SMM Global Sourcing. He was recently global category leader - Capex at Rio Tinto. Kotaraju has 30 years of procurement & supply chain experience and has held senior procurement leadership position within global organization such as CH2M HILL & Keppel Seghers. He specialises in capital projects procurement for EPC, EPCM & as owner's representatives. Saurish Nandi is currently global head of procurement for Rickmers Ship Management. He has more than 11 years of experience in global procurement, spend management, optimizing supply chain networks and e-commerce implementation. Nandi is a Certified ISO 9001 lead auditor and his theory on value chain optimization in the marine procurement field is a trendsetter. His vision in bringing marine procurement and supply chain function at par with other industries like automobile and aerospace industry has led to various companies endorsing his supply chain optimizing model. Chung Chee Kai is currently responsible for the strategic direction and management of global trade and supply chain financing for the Maybank Group. He plays an integral role in defining and refining business strategies and collaborates with the various countries’ trade finance heads to execute these strategies in their respective markets. Prior to his current appointment, he was Maybank’s head of transaction banking China and successfully led the roll out of regional cash and trade platforms for this market. His 27 years of experience has seen Chung largely involved in developing new and enhanced cash management, trade and FI solutions for the organisations he served across Asia. Deborah Elms is head of Singapore’s Temasek Foundation Centre for Trade & Negotiations and senior fellow of international political economy at the S. Rajaratnam School of International Studies at Nanyang Technological University. She is also a senior fellow in the Singapore Ministry of Trade and Industry’s trade academy. Dr. Elms’ research interests are in negotiations and decision making, particularly in trade. Her current research topic is the Trans-Pacific Partnership negotiation. She also conducts a range of teaching and training for government officials from around Asia, for members of parliament, for business leaders, and for graduate students. Keith Carter is visiting senior fellow of decision sciences at the National University of Singapore Business School. He has established and led global supply chain initiatives including: supply chain intelligence, knowledge management, transformation governance, and data management. Keith worked for the Estee Lauder Companies tasked to lead the strategic and tactical supply chain operations of global multi-plants to improve the overall performance of the company. Zamri bin Sanip is currently heading the trade & supply chain finance (TSCF) business for Maybank, Malaysia. His main role is managing the strategic direction and growing TSCF business in Malaysia as well as factoring and structured trade & commodity financing. He has more than 18 years of banking experience covering both retail and commercial banking area. Prior to joining Maybank, Zamri worked for 15 years with HSBC in various positions. He spent most of his career in the areas of lending and trade finance. Arun Mehta is a senior technology executive with extensive international experience in strategizing, evangelizing, architecting and delivering complex initiatives in the field of big data, data integration, business intelligence, data visualization, MDM, CRM and data warehousing primarily in the financial industry. He is a technical thought leader on business intelligence, agile analytics and big data topics. In his current role, Mehta is in charge of line managing globally distributed teams to deliver the business intelligence portfolio related to private banking. He is also responsible for leading the data strategy and framing the data governance guidelines for the information assets of a global private bank. Christophe Langlois is founder and CEO of Visiblebanking.com. He is a team leader, published author and a respected social media strategist and practitioner. Having worked for financial service providers such as SWIFT, Lloyds TSB and Societe Generale as well as for vendors such as Accuity and Telcos like France Telecom, Langlois understands the industry from many different angles. Since launching VisibleBanking.com in February 2007, he established himself as one of the most trusted advisers to the worldwide financial services industry on the topics of social media, digital innovation and voice of the customer (both strategy and execution). Langlois is a regularly requested chairperson and keynote speaker at conferences. Martin Buchholz is the former director and CTO who built Asia’s first Internet only bank: First-e. A former senior executive with Citibank and payment provider ACI Worldwide, Buchholz now applies his expertise on restructuring and reengineering, governance and risk management, operation and industry compliance as a consultant to major financial service and telco industries. Bojab Blecic started his career as customer experience executive at Credit Suisse. He is a recognized author and thought leader and has ten year of experience in the management of client expectations. Besides heading the customer experience team at OCBC bank, Blecic frequently speaks at industry conferences in Europe and teaches at the University of St. Gallen and at ZfU International Business School focusing primarily on design and management of customer expectations in financial institutions. After working many years as technology executive at Nedcor Bank, Mr Watkins decided to join the academia. He does banking industry specific research related to the application of technology, associated governance and sustained improvement of operational processes for bottom line profitability. Besides teaching at Germany’s foremost business school, he works as independent executive board technical committee chair for various financial institutions in the UK, USA and Africa. Eric Tachibana has held senior banking roles at Barclays Capital, Merrill Lynch, Bank of America, and most recently as chief operating officer for the Asia Pacific chief technology office at UBS where he covered business management, enterprise applied innovation, strategy, marketing and engagement for investment banking, wealth management, and asset management. Tachibana has experience as entrepreneur in Silicon Valley as well as a successful private equity fund manager. He is also teaching as an adjunct professor at the National University of Singapore and Thammasat University business schools. Anne Weatherston was group CIO of ANZ Bank for four years, during which she was responsible for a major transformation of the bank’s technology strategy which resulted in a major turnaround of underlying infrastructure and the design and execution of a new technology roadmap to underpin the bank's super-regional agenda in Asia. Prior to ANZ Anne was group CIO at Bank of Ireland. She has also played technology leadership roles at Santander, National Australia Bank and Royal Bank of Scotland. Mahesh Ranade is currently senior vice president at Bank Mandiri, handling strategic technology programs, and with his team manages the conceptualization, design and implementation of transformative programs such as MDM & CRM; DWH, Big Data & analytics; supply chain & cash management; retail multi-channel; and merchant acquiring systems. He has 18 years of experience in strategy formulation and execution in both wholesale and consumer areas. Tumurkhuu Davaakhuu is currently the CEO of Erelbank, also serving on its board of directors. He has developed its culture and profile as a customer experienced focused bank concentrating on creative savings, loan and technological products tailored to the needs of small businesses and entrepreneurs. Before being named CEO in 2007, Davaakhuu was responsible for overlooking the loan portfolio performance, health and development of the bank as chief economist. Prior to joining Erelbank, Davaakhuu has been with Wainwright Bank, Smith Barney, and DJ Properties. Arif Siddiqui is currently chief information officer at Standard Chartered Bank Malaysia where he oversees the full spectrum of technology and operations and is responsible for systems development, technology support and banking operations for the bank’s retail and wholesale banking businesses. Over his 23 years of banking experience, Siddiqui has held various senior positions, including as chief executive officer of Scope International Malaysia, Standard Chartered’s Global Shared Services Centre in Kuala Lumpur. He has been nominated for and named winner of numerous awards, including the Standard Chartered Chairman Award in both 2005 and 1997. Sriram Srinivasan has over 15 years of experience in consumer e-banking business, technology, operations and marketing, handling large transformational initiatives across various geographies. He was instrumental in launching online banking at Citibank Japan. Srinivasan specialized in the design of end-to-end digital solutions that provide excellent customer experience as well as solid business value. He has established a regional eBusiness Center of Execution, handling various facets of digital banking including content management, creative development, e-DM, e-statements, web analytics, “Smart Banking” branch solutions, email deliverability and online acquisition form design. Raymond Leung Chun-Kow joined Alliance Bank as group chief operating officer in 2011. He oversees the operations, technology and various support functions of the bank, and is instrumental in developing key strategies that encompass all aspects of the bank’s business to drive growth. This includes product support, talent development, customer services and delivery. Prior to joining Alliance Bank, Leung had gained a diverse wealth of experience with over 30 years in Citigroup across Hong Kong, Toronto, New York and Singapore. He has held key positions at both country and regional levels for operations, technology, internal audit and product management. CK Chan has overall responsibility for the development and deployment of mobile banking systems and engineering of a new series of channel services to support the digital strategy of HSBC. He began his career as an engineer in Fairchild Semiconductors, and entered his IT career with Hong Kong Telephone before joining HSBC's newly set-up group systems development centre in Vancouver, Canada in 1990. He moved back to Hong Kong in 2007 to lead the channel systems development teams. During his 24 years with HSBC, he led development in core banking, CRM, data warehouse, and front-end systems, which are deployed in banks across multiple countries. Satish Menon is a respected business leader and innovator and an expert in venture investing, digital banking as well as online marketing. In his latest position as group general manager - digital and customer insights at ANZ Bank, Menon was in charge of the overall internet and mobile strategy as well as customer insight-led initiatives across multiple businesses and geographies of the ANZ Banking Group. Prior to joining ANZ, Menon worked for ten years in Citibank where he held various senior positions, among them as executive vice president of growth ventures and innovation and global head of mobile and internet banking. Ashwin Khorana is currently the chief technology officer and is responsible for creation, implementation and maintenance of business application services. He also helped develop a clear strategic direction and improve technology understanding. He joined ING Vysya Bank as head of IT service delivery in late 2009, supporting data centre, network, servers and desktops with various vendors using the standard ISO 20K process. Prior to this, he has worked in Standard Chartered Bank, and has over 22 years of experience in technology investments across Asia, Africa and Middle East. Ali Sajwani serves as group chief information officer of Emirates NBD Bank, which is the largest bank in the Middle East by assets after the merger of Emirates Bank International and National Bank of Dubai. Sajwani played a key role in the IT integration of the legacy banks as well as the rollout of a new core-banking platform. He is now responsible for the stabilization of the platform as well as supporting the international rollouts. He also led the recent Emirates Islamic Bank and Dubai Bank integration, and serves as executive member of the advisory board of some major international corporations supporting decision-making processes on emerging technology. Abrar Mir has been group head and EVP, branchless & e-banking at United Bank for over four years. He led the successful development and ongoing improvements of an in-house technology platform enabling multichannel transactions, as well as multiple G2P initiatives using branchless solutions. Some of the main G2P programs executed include World Food Program payments, Benazir Income Support Program disbursements, the cash disbursement solution to IDPs of Swat and cash disbursement to millions of flood affected people in Pakistan. Eng Kee Seng is the vice president of the transformation management department at Bank Simpanan Nasional (BSN), responsible for managing various projects. He is guiding, monitoring and executing initiatives in complementing the bank’s transformation roadmap. A certified project manager, Eng has vast experience in consultancy in the areas of system integration across CRM, data warehousing and BI for the financial services industry. Prior to joining BSN, he worked at Prudential Services Asia as senior manager, regional MI system development. Arnab Ghosh is a consumer banking and payments professional specializing in emerging markets across Asia Pacific and is currently serving as director and business head for cards and ATMs at Maritime Bank, Vietnam where he envisioned the payments business strategy for the bank. He has been instrumental in establishing the bank as a key player in the cards market in Vietnam. Prior to this, he served several roles spanning across sales, marketing and product management for the cards business of HDFC Bank in India. Gosh was laureated with multiple awards including the industry’s highest honours for product excellence and marketing in the region. Edwin Yuen has more than 20 years of experience in risk analytics and computer system development. Prior to joining the University of Hong Kong he served as chief analytics officer at Bank of China. He was also head of risk analytics for Standard Chartered Bank, responsible for the successful global implementation of its Basel II program and held various senior positions in the Canadian Imperial Bank of Commerce in Toronto and the United Overseas Bank in Singapore. He was the chairman of the Basel Implementation Committee of the Hong Kong Bankers Association in 2011. Matt Symons is chief executive officer and co-founder of SocietyOne. Prior to this, Symons was CEO of Memetrics, a data and analytics technology business based in San Francisco. After managing the successful sale of Memetrics to Accenture in 2007, Symons spent four years as the Partner responsible for leading Accenture’s marketing data management and analytics team from San Francisco. His practice was centred around large-scale digital transformation projects with a focus on innovative technology adoption within the enterprise. Andrew Parker is the Mobiliti Sales Director for Fiserv, a role he has been in for over five years, leading its mobile banking and payments sales efforts across Asia Pacific. He’s passionate about banks deploying customer centric mobile solutions that embrace the true transformational opportunity presented through digital channels innovation. He has over 15 years of experience in selling and delivering electronic payment technologies to banks across the Asia Pacific region. Jason Kong has served as deputy director of Assurity Trusted Solutions since 2012, appointed to prevent fraudulent transactions and enhance Singapore's position as a trusted e-commerce hub. Kong is responsible for the nationwide adoption of Singapore’s national authentication framework and to promote stronger 2FA authentication to service providers. He also leads the CyberSecurity Alliance Enterprise workgroup to promote cybersecurity standards and practices on SMEs. Kanv Pandit is currently general manager for payments for South East Asia, Japan and Korea at FIS, responsible for leading payments operations. Prior to this, Pandit led the technology and operations division for FIS' payments business and was the head of business solutions group. He has more than 14 years of experience in the conceptualization and delivery of enterprise solutions to financial institutions in Asia. In the past, he has been with ACI Worldwide as well as VWS. Tan Say Leong is currently business development director for FIS responsible for spearheading the development of the outsourcing business for FIS in ASEAN. Prior to joining FIS, Leong was part of the Computer Sciences Corporation’s outsourcing business development team based out of Kuala Lumpur for eight years and was involved with very large infrastructure outsourcing engagements. Prior to that, he had been involved in business development for payments across the region for Computer Systems Advisers in Malaysia. Carol has over 15 years of experience of delivering financial services and technology related research on behalf of research consultancies and publications. Her research career began at The Asian Banker in the late 1990s where she produced several reports and white papers on financial services issues and contributed articles to The Asian Banker Journal. Following her return to the UK she made her first foray into technology related research with Bloor Research, an IT advisory consultancy, and subsequently became a banking industry analyst with TowerGroup where she collaborated with a group of US analysts researching global banking technology initiatives. She has also held the position of research editor for a UK Insurance publication. Kris Kumar has been senior vice president and regional head of Asia Pacific for Digital Realty since early 2010. He is responsible for overseeing Digital Realty’s expansion, and corporate and operational activities in the Asia pacific region. Prior to joining Digital Realty, he was president and co-founder of Global DC and oversaw the data centre projects for international telecom and IT companies across the Asia Pacific region. Kumar has over 35 years of experience in the IT and data centre infrastructure industries. Ian Jacobs serves as customer experience evangelist of Genesys, overseeing voice channels, newer digital channels including email, as well as mobile products and solutions. Jacobs is also exploring the intersection of technology and the ways consumers live with new channels, with which he helps define the direction for future Genesys solutions. Jacobs has a diverse wealth of experience from 20 years in the enterprise software market. Shaji Farooq is currently the chief executive BFSI at Wipro. Prior to this, he led advanced technologies service line at Wipro, created to exploit the transformational opportunities at the intersection of cloud, analytics, mobility, and high-performance technologies. Farooq also headed Wipro's Global Alliances with global partners. Farooq’s over 24 years of professional experience covers IT strategy, business process redesign, and business value realization, with significant focus on the financial Services and high tech industries. Farhan Ibrahim Chaudhry is currently director sales specialist for cloud & enterprise management solutions for Asia pacific region at Oracle based out of Kuala Lumpur, Malaysia. He advises how Oracle manages their IT environments to make them more agile while improving user experience and reducing cost. He joined Oracle as regional business manager, FSI in 2005, responsible for technology sales business in financial services industry in SAGE West. Prior to joining Oracle, he was with Standard Chartered Bank and Citibank. Man Hui Chun is a software solution professional/evangelist with many years of regional exposure in the Asia Pacific region. He has worked with various global software companies in the capabilities as professional services consultant, solution principal/director in the area of ERP, CRM, SOA, BPM, CEP and most recently as principal solution architect for the Asia Pacific region on in-memory data, complex event processing, BPM, and SOA technologies working for Software AG. His expertise includes presenting business values and business cases with software solutions to solve complex problems. Mark Johnston is a security solution architect and part of IBM's Worldwide Security Tiger Team within the IBM Software Group. With over 13 year experience in the IT Industry, he has consulted with various US federal and state government departments, along with Fortune 500 companies. Leading consultative dialogue to help them to build identity, access, fraud and security strategies and drive relevant cross channel monitoring solutions for their business. He brings collective business best practises and in-depth integrated technical expertise from his global client portfolio across Asia, Europe and the US. Aftab Ahmad is managing director and CEO of Lahore Stock Exchange, and regular secretary general of the South Asian Federation of Exchanges. He is also a member of the working committee of the Federation of Euro Asian Stock Exchanges (FEAS) and director of the National Clearing Corporation of Pakistan and Pakistan Credit Rating Agency. Aftab has about 26 years of progressive job experience of varying responsibilities in a variety of assignments related to logistics, supply chain, strategic, asset, financial, project, budgetary and treasury management functions at different entities both within and outside the country.